Info: I took over the property where I now live. 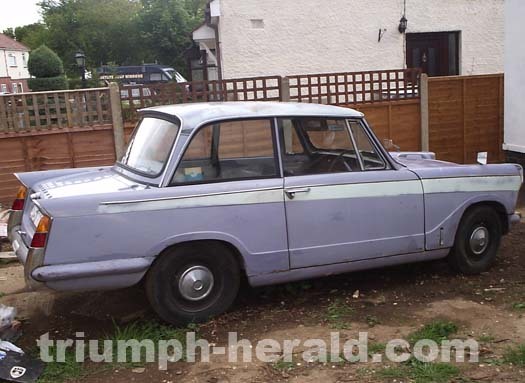 In the garage underneath a load of junk emerged in reasonable condition a 1960 triumph herald saloon engine is intact missing starting handle but everything else is their. The last tax disc on the vehicle was in 1973 I have an old m.o.t & owners handbook.